The risk of filing the Self Assessment late is sometimes unavoidable, and HMRC recognise this. That is, if the reasoning is acceptable. Unfortunately, year after year, a few take the opportunity to present completely unbelievable excuses to HMRC. Here, we compile the most far-fetched – as well as show how you can guarantee your tax return doesn’t miss the deadline. If you’re going to mention the supernatural in your explanation, don’t bank on HMRC being convinced. This excuse may have received a chortle from the taxman, but the claimer received a rejection and penalty. Vessel infernos aren’t acceptable either. If you complete your tax return via paper, you need to keep this and any communications from HMRC safe. Reasoning that falls under ‘no access’ is unlikely to be accepted, especially when it’s as unbelievable as the likes of a messy home! The age-old excuse of ‘my dog ate it’ doesn’t work in school, so it certainly isn’t a credible explanation for an incomplete tax return. And as the deadline is communicated from the very moment you register for the Self Assessment, not receiving the reminders due to an absent postman isn’t justifiable either. The same goes for mixing up the submission date. Noting the 31st January deadline and setting up regular reminder alerts from the start is a great way to ensure you don’t miss it. Technology has come on leaps and bounds with rapid innovation in recent years, so blaming it isn’t an option anymore. Internet downtime or lack of access will simply be met with the argument that you shouldn’t have left the Self Assessment until the last minute. Even more bizarre than a broken washing machine are cattle confrontations. Joining the weird excuses are being distracted by faraway acts of God, and a Kent-based financial services firm simply not completing the Self Assessment because they believed their business didn’t do anything. This isn’t plausible for any company, let alone one who clearly knows the importance of numbers! Thinking up the most preposterous excuse isn’t necessary if you simply get the tax return in on time. Submission doesn’t have to be a last-minute task – using Self Assessment software means it can be done quickly and easily. All you need to do is enter your data into the right boxes, and it calculates the sums for you. Tax-saving suggestions will be given and, when you’re ready, you can submit an accurate, complete return directly to HMRC from the software. It really is that simple. 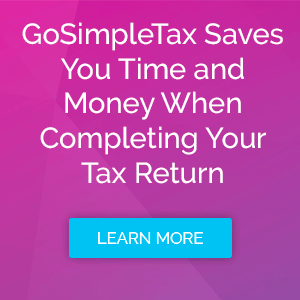 Sample the benefits today with a 14-day free trial of GoSimpleTax.